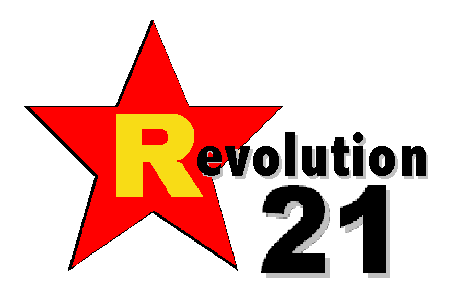 Revolution 21's Blog for the People: Vote for the black Muslim. It's important. Madonna lectures on political science. Not safe for work . . . or young ears. The only part of Madonna Louise Ciccone that's anything like a virgin is her brain, having for 54 years avoided being deflowered by a serious thought. Monday night, the chastity belt around her cranium was cinched up extra tight as the crowd at her Washington, D.C., concert got three minutes' worth of Politics for Dummies . . . by Dummies. "Y'all better vote for f***ing Obama, OK? For better or for worse, all right? We have a black Muslim in the White House." "Now that is the s***! That is some amazing s***! That means there is hope in this country. And Obama is fighting for gay rights, OK? So support the man, goddammit." AND THE crowd goes wilder, stopping its whoops and yelps only long enough for the singer's political-science pupils to breathe through their mouths. Tonight, the absent-mind professor sent a statement to the serious media -- in other words, Perez Hilton -- to clarify that she was being "ironic." OH . . . okaaaaay. Sure, honey bun. Whatever you say. I apologize. I was having a flashback to what my wife tells me whenever I try to BS her that blatantly after being caught saying something moronic. See, it doesn't count as irony without an eye roll or air quotes. Them's the rules. Mighty big talk for a woman who does that just to celebrate Tuesdays. Labels: Barack Obama, concerts, culture, decline and fall, dumb, Madonna, media, morons, politics, pop music, Washington D.C. I always cringe when actors or pop stars use their fame to promote some political agenda. Thousands of mindless fans will do just what the 'star' says simply because they are followers and want some form of kinship with the 'star'. This sort of thing encourages people not to use their own minds and not to examine the real issues that should influence who we cast a vote for. Madonna... ugh... In my humble opinion, She's the LAST person who'd know what was good for America.